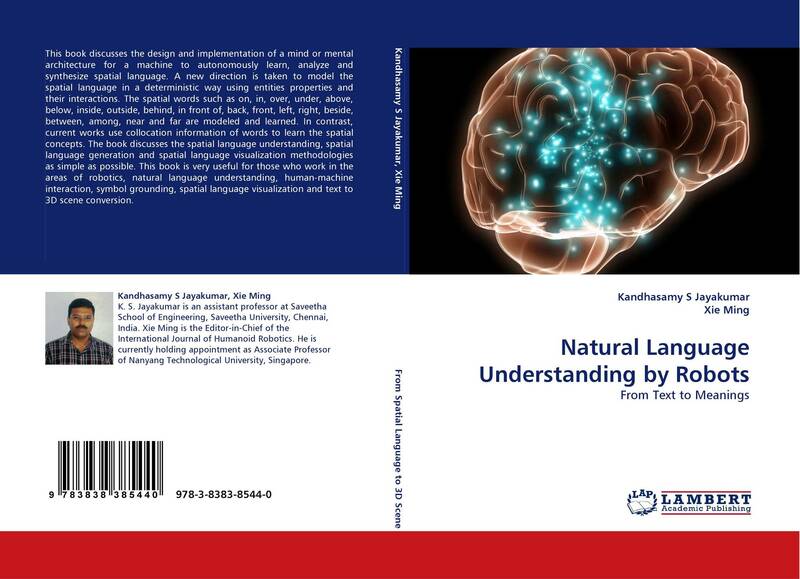 This book discusses the design and implementation of a mind or mental architecture for a machine to autonomously learn, analyze and synthesize spatial language. A new direction is taken to model the spatial language in a deterministic way using entities properties and their interactions. The spatial words such as on, in, over, under, above, below, inside, outside, behind, in front of, back, front, left, right, beside, between, among, near and far are modeled and learned. In contrast, current works use collocation information of words to learn the spatial concepts. The book discusses the spatial language understanding, spatial language generation and spatial language visualization methodologies as simple as possible. This book is very useful for those who work in the areas of robotics, natural language understanding, human-machine interaction, symbol grounding, spatial language visualization and text to 3D scene conversion. 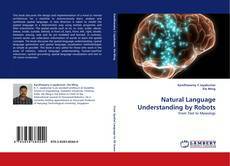 Natural Language Understanding, Spatial Language Understanding, Natural Language Interface, Text to Scene, artificial intelligence, Robotics, Symbol Grounding, Mind or Mental Architecture, Meaning Machines, Human Computer Interaction(HCI), Computational Model of Mind.